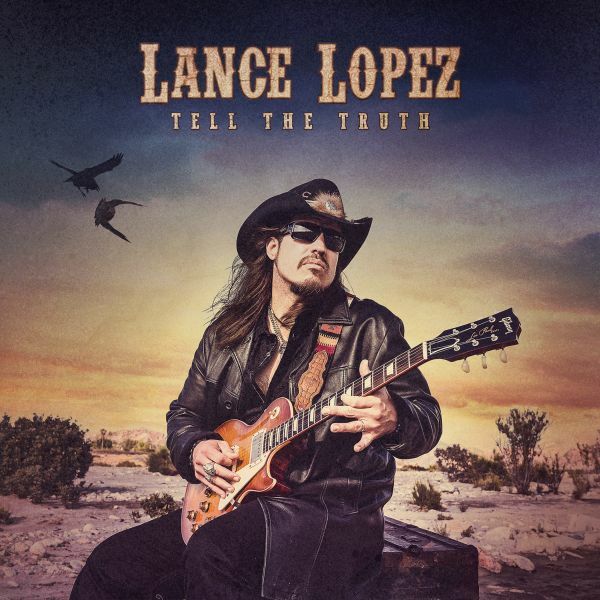 LANCE LOPEZ [SUPERSONIC BLUES MACHINE] - TELL THE TRUTH (CD) | Online Shop | Wizard LTD. Album: "TELL THE TRUTH (CD)"
• Known as lead singer and guitarist of Supersonic Blues Machine. Lance Lopez has a voice that lets you know he’s walked the walk, and his smokey tenor has grown more gravely and passionate with the years. He was brought up by the likes of Bobby “Blue” Bland, Buddy Miles, Johnny Taylor, and Lucky Peterson. Lance started playing professionally at the age of 14 in bars and clubs in and around New Orleans, joining up with soul great Johnny Taylor when he was just 17, then becoming Lucky Peterson’s band leader at 18, and eventually joining the Buddy Miles Express. More recently he jointed Supersonic Blues Machine as the lead singer and guitarist. He’s lived the life every day since, and you can feel every mile of the road on this album!